Eighteen years after his death, Vasudeo Santu Gaitonde (1924-2001), one of India’s modern masters, must have turned in his grave. On March 26, 2019, one of his enigmatic untitled abstracts painted in 1973 was auctioned for a whopping Rs 25.24 crore (including buyer’s premium). Another painting that created flutter on that Tuesday evening in Mumbai was that of Raja Ravi Varma (1848-1906). 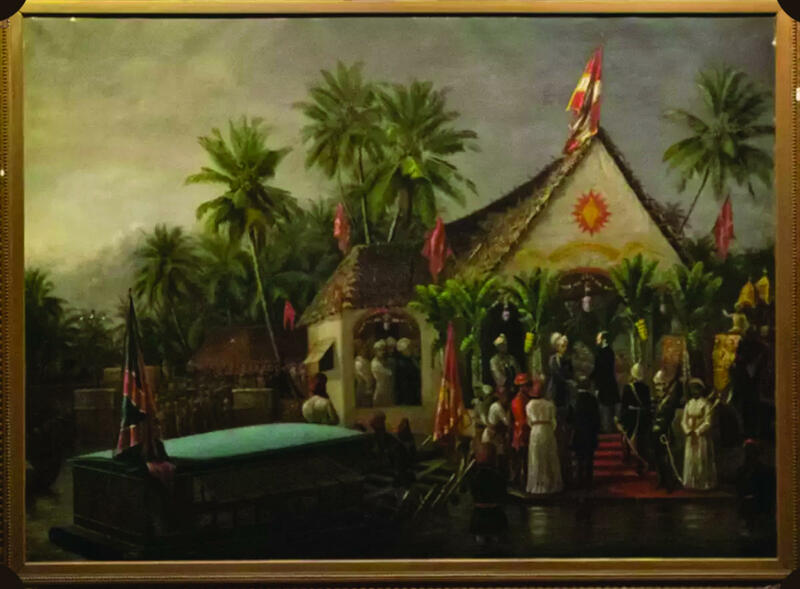 The 1881-work showed ‘The Maharaja of Travancore and his younger brother welcoming Richard Temple-Grenville, 3rd Duke of Buckingham and Chandos, Governor-General of Madras (1875-80), on his official visit to Trivandram in 1880’. The piece came with an estimate of Rs 12-18 crore. By the time Saffronart’s auctioneer Dinesh Vazirani brought down the hammer, a phone bidder had decided to shell out Rs 16.10 crore (including the buyer’s premium) for the work. Among other surprises was a tiny 10.75 x 10.75-inch mixed-media work on paper by Jogen Chowdhury, estimated to fetch Rs 12-18 lakh, but actually went for Rs 52.90 lakh! These paintings were among the 68 works from Nirav Modi’s collection seized by the Enforcement Directorate and put on auction by the Income Tax Department to recover its dues amounting to Rs 95.92 crore from the erstwhile showman of Indian jewellery business. Now a declared economic offender, Modi wielded enormous clout in political and social circles not long ago. The tide, however, has turned and the law enforcement agencies are chasing him over the country’s largest bank fraud. When the auction took place in Mumbai, the fugitive diamantaire who fled India in January 2018 was, in fact, cooling his heels in London’s Wandsworth prison awaiting extradition proceedings. All in all, 55 paintings were sold during the Saffronart event, raising a sum of Rs 59.37 crore. The auction followed a special court order that permitted sale of not only 173 paintings but also 11 luxury vehicles owned by Modi. But just a day after the auction, the matter was back in court with Modi’s firm, Camelot Enterprises, challenging the sale of paintings in Bombay High Court. The Court in turn directed the IT department to file a reply to the petition. As for Modi, the former jeweller is reportedly making all-out efforts to escape extradition to India to face trials. The last word of this intriguing tale has not yet been said or written. The auction also brought back the question about the relationship of gangsters and fraudsters with art. How and why are they attracted to art, and how exactly do they collect artworks? How do these people get acquainted with art trends? The Income Tax auction also brings up another interesting discussion. How do wealthy people fund acquisitions of art? Do banks and institutions view artworks as financial assets? Would they lend money against artworks? Or consider paintings and sculptures as security for their loans? “When I see a painting, even of masters like Ravi Varma, Gaitonde or M F Husain, I may like or dislike it, but I certainly don’t have any tools to assess its intrinsic or market value,” confesses a bank officer. 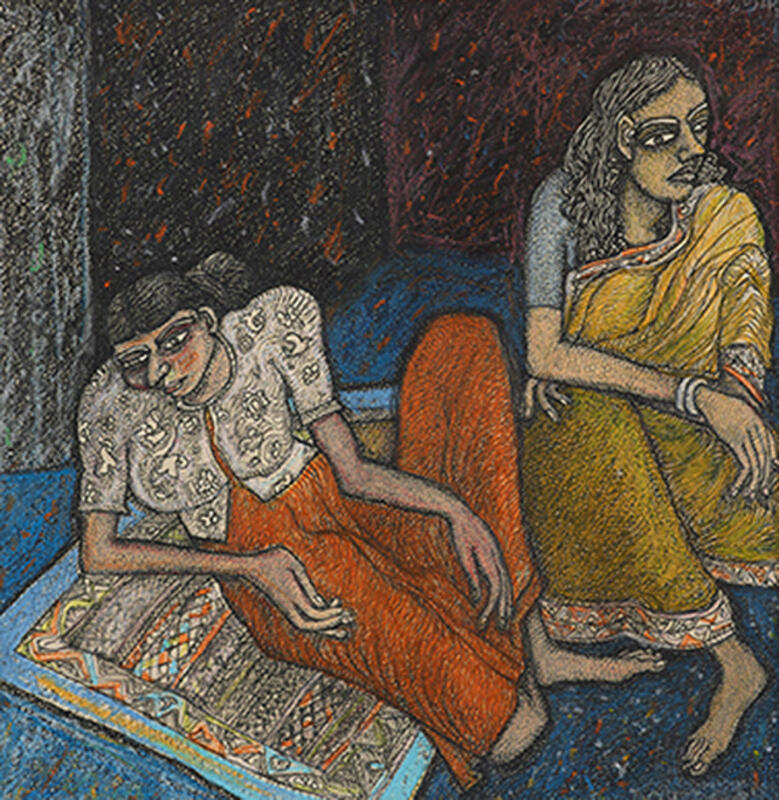 “If you tell me that a Jogen Chowdhury’s tiny painting sold for Rs 50 lakh in the recent Saffronart auction, can you guarantee that every single work of his would fetch such astronomical prices in future? I am rather comfortable to deal with gold or stocks where I can calculate the value immediately.” Bankers like him are also baffled how some relatively unknown artists become celebrated in the art world. The issue is further complicated by the many fakes in the art market, which even experts find difficult to identify. Notwithstanding such problems, one wonders if the auction of Modi’s paintings has opened a small window to bankers to look at art collections more favourably, and as possible assets to recover dues from their defaulting customers.